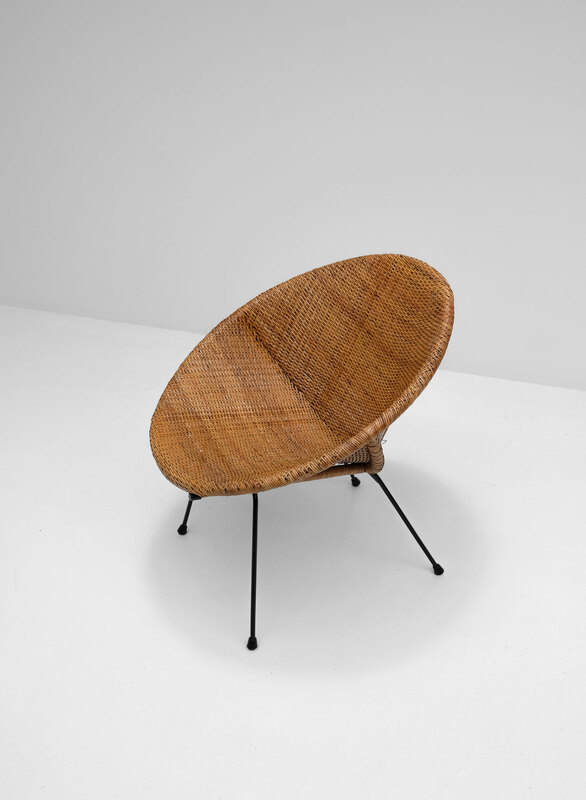 Dirk van Sliedrecht was a Dutch furniture designer, interior architect and teacher. 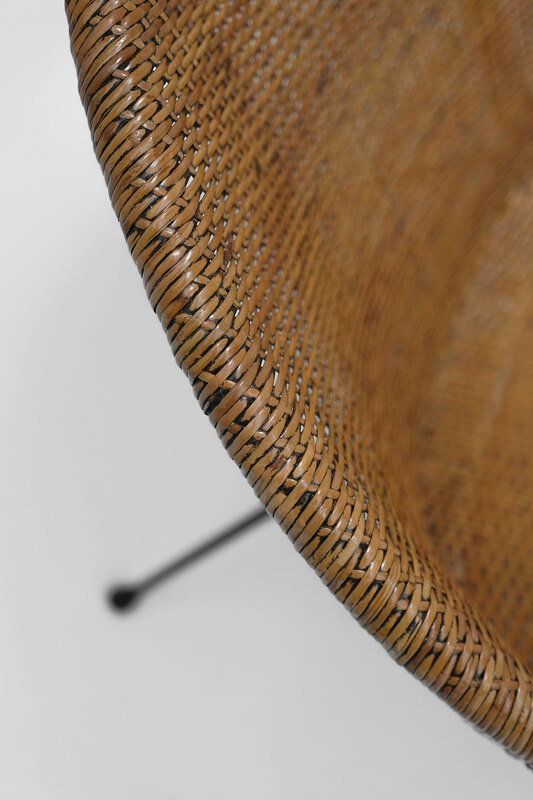 Good quality and craftsmanship where important for him and his work. 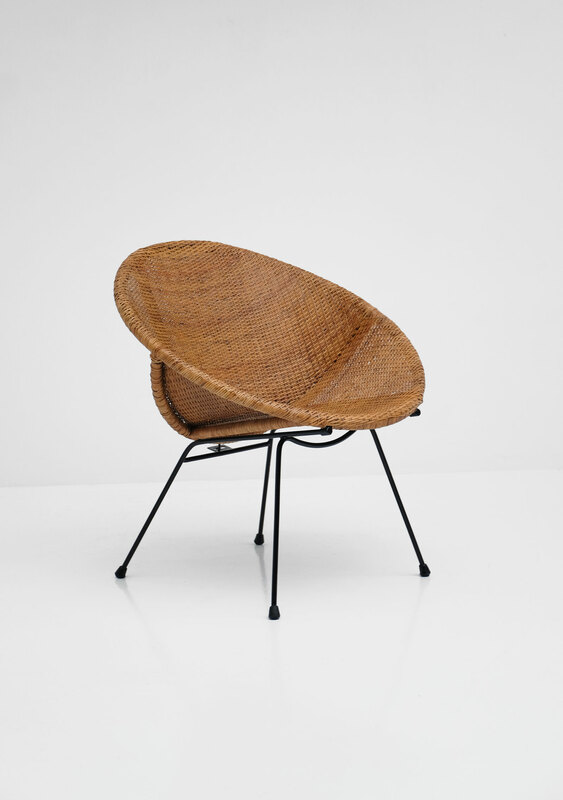 Van Sliedrecht was inspired by classic, structural architecture and design, like Corbusier and modernistic buildings. 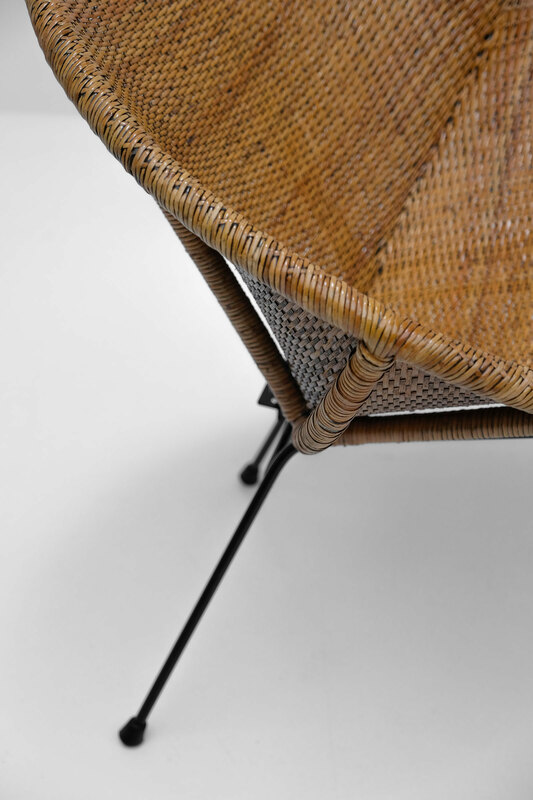 Functionality was the keyword of his designs, not only in the furniture itself but also in the production. 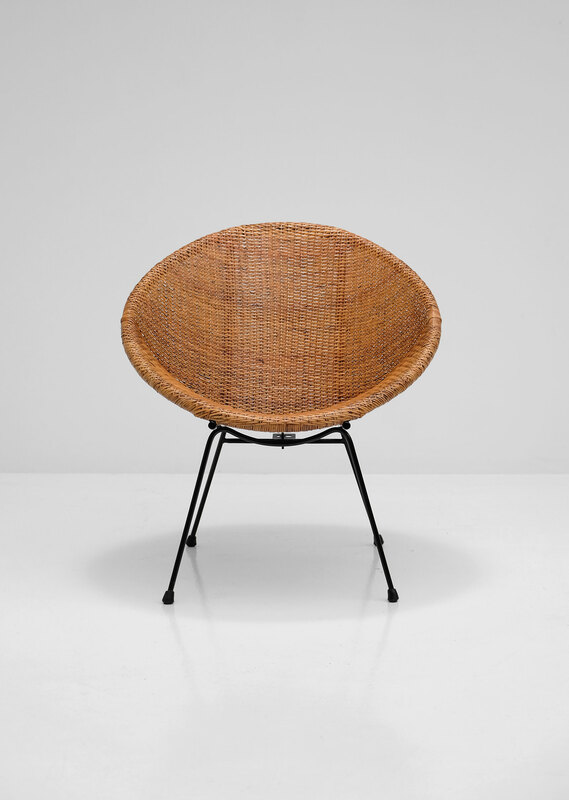 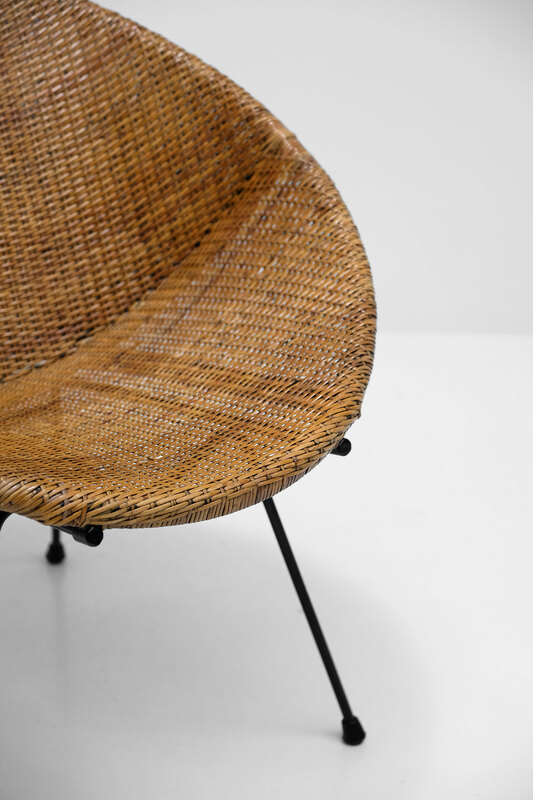 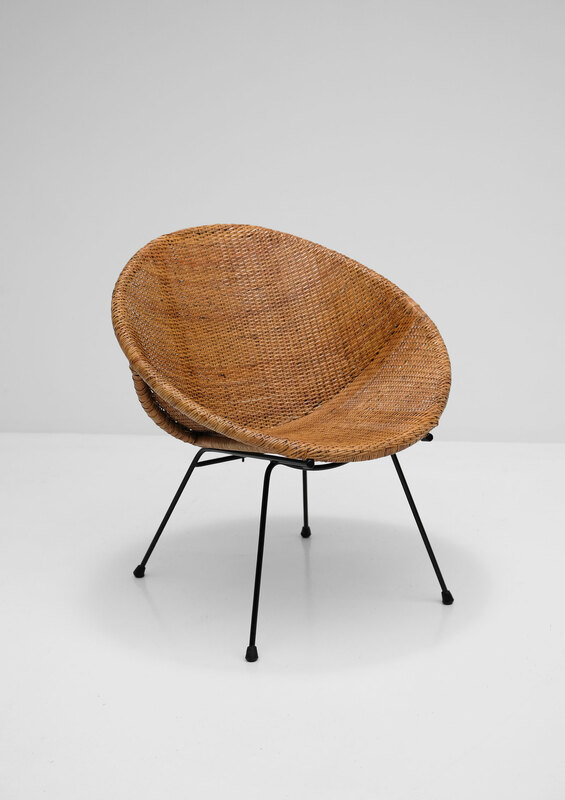 This rattan chair was designed in the fifties and shows a nice combination on black metal legs and honey colored rattan. 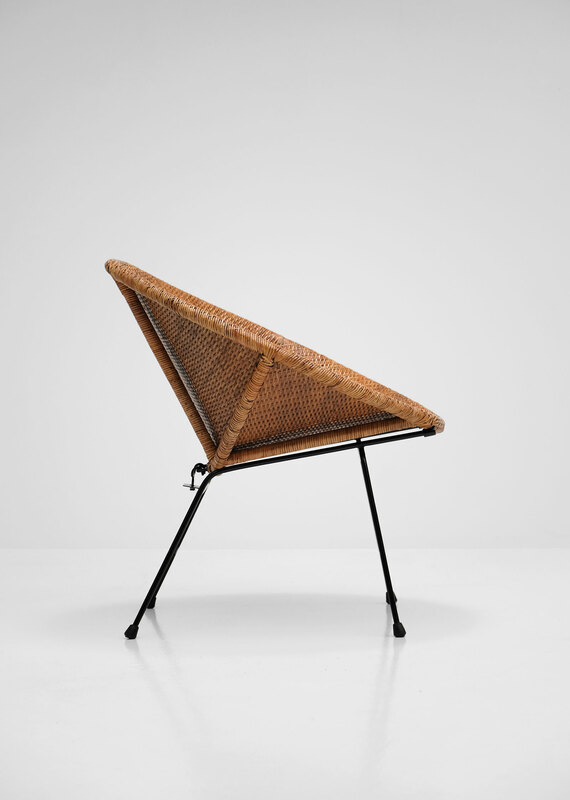 A true decorative side chair.